As the Summer temperatures culminate, Beavers Bend State Park and Broken Bow Lake shuffle through the boaters, hikers, and fisherman. It is a great time to experience the area, as all is in full swing. As the days melt into darkness little by little, and the vacationers head home, they often look forward to coming back in the Fall. This year we are offering several Fall special rates. 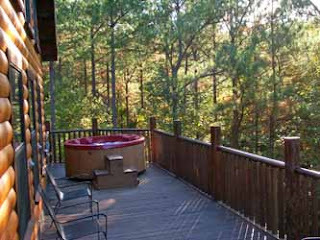 Check out Beavers Bend Log Cabins Current Specials for August & September.